Scraps of Darkness and Scraps of Elegance: Look who's joined our Design Team! 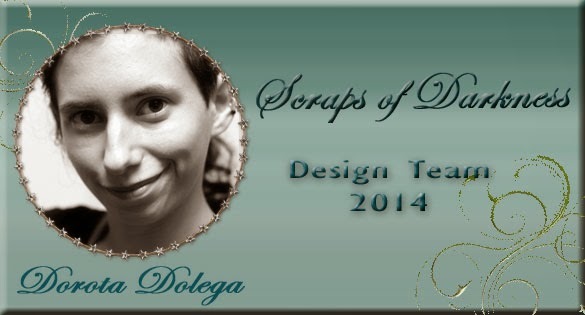 We previously announce this amazingly talented lady was guest designing for our Scraps of Darkness kits (keep reading to see the gorgeous projects she's done for us so far!). We think she is a perfect fit for our team and our kits! And so we are THRILLED to announce that she's joined our team! Welcome to our team, Dorota, we're so happy you've joined us! Aren't these little notebooks just STUNNING!? We're just loving the work she's doing with our August kit, and we're looking forward to much more inspiration from this wonderfully talented artist... Welcome, Dorota! So happy to have you Dorota!